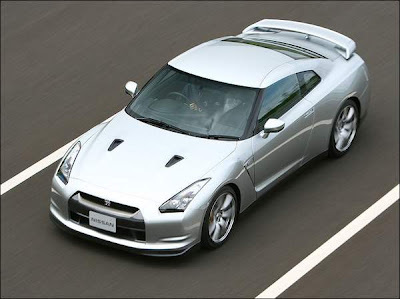 Nissan sold 208 Nissan GT-R's in November bringing the total year to date of 1,581 GT-R's sold. -- Nissan vehicles saw sales of 38,974 units in November compared with 70,079 units sold in November 2007, a 44.4 percent decrease. -- The GT-R super car was recently named the 2009 Motor Trend Car of the Year and 2009 Automobile Magazine Automobile of the Year. -- The new Versa 1.6 Sedan is arriving at dealerships nationwide and is available starting at $9,990. -- Nissan continues to offer 0% financing on select models to qualified consumers. -- Nissan in November unveiled the all-new, next-generation 2009 370Z sports car, scheduled to hit showrooms in early 2009, and the all-new, uniquely styled Cube, which will be available in spring 2009. Fourty Four Percent. Fourty Four.